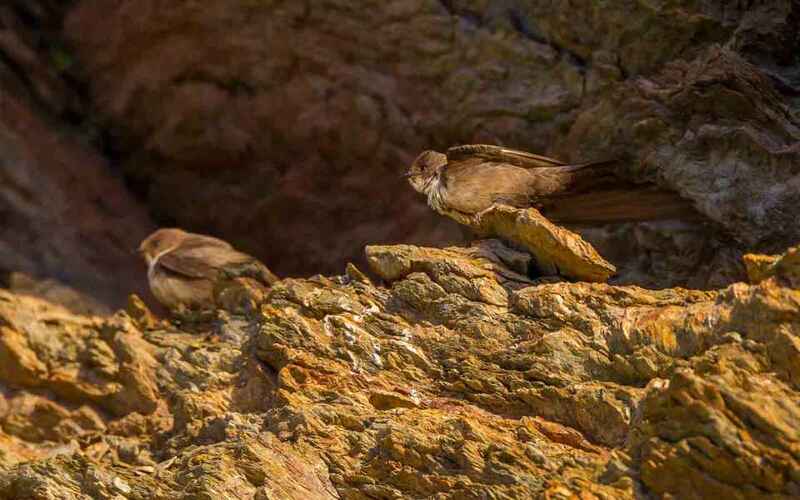 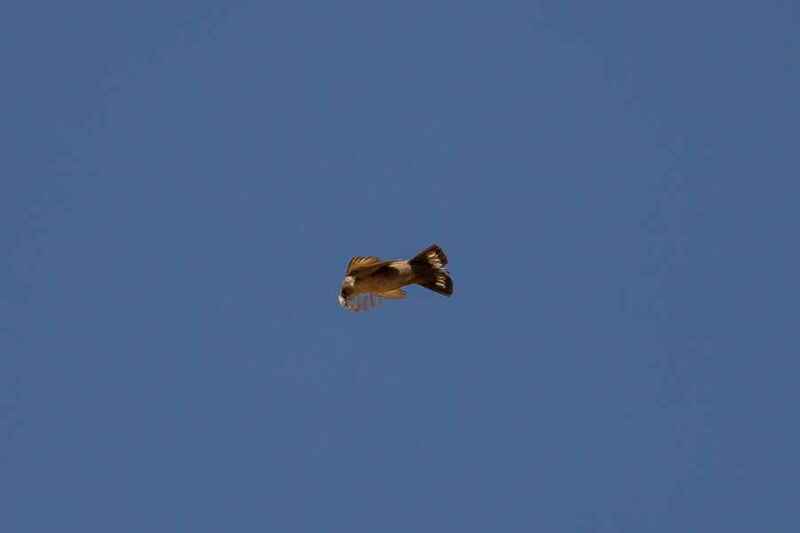 A resident species in southern Portugal, the Crag Martin shows a movement away from the coast during the summer months, so is more likely to be found inland during the breeding season. 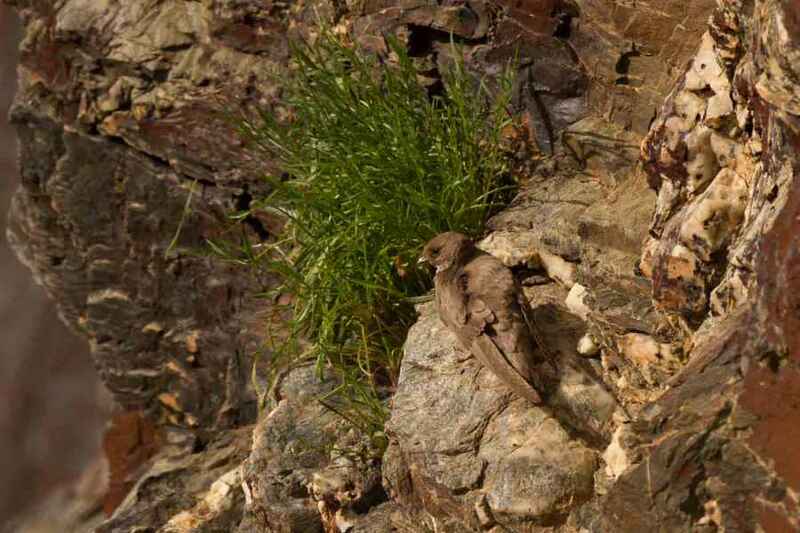 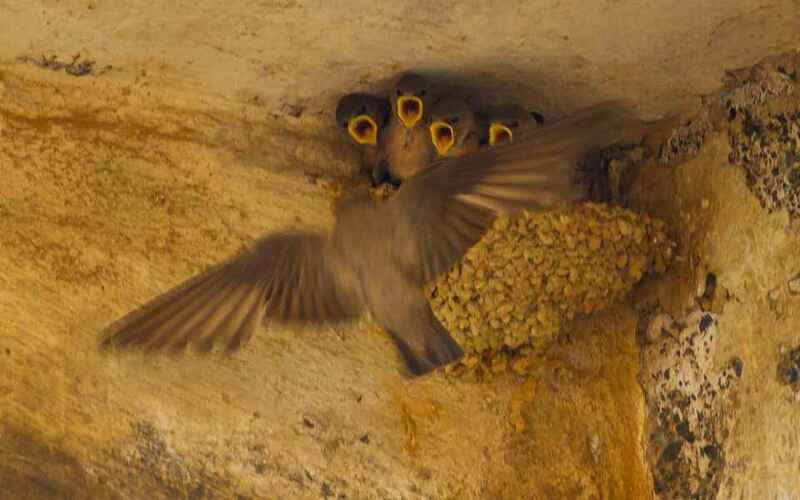 It prefers rocky cliff faces but will also breed under bridges á la Red-rumped Swallow . 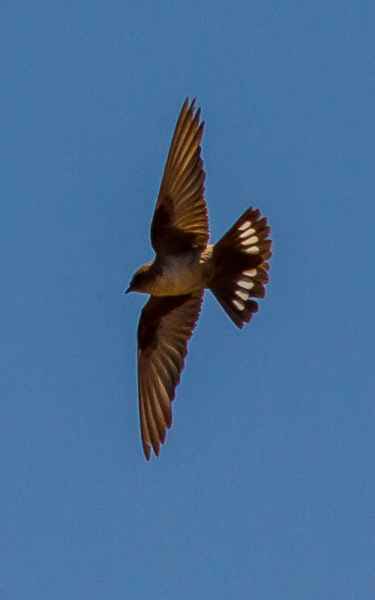 It will sometimes gather in large loose flocks in towns during the winter. 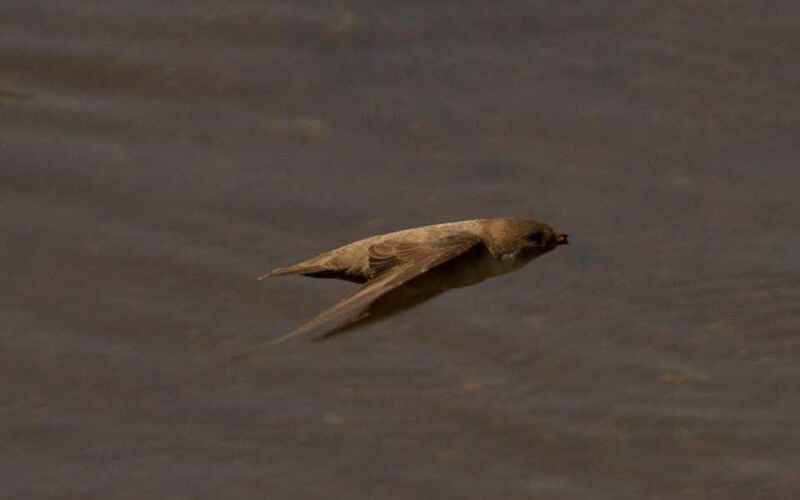 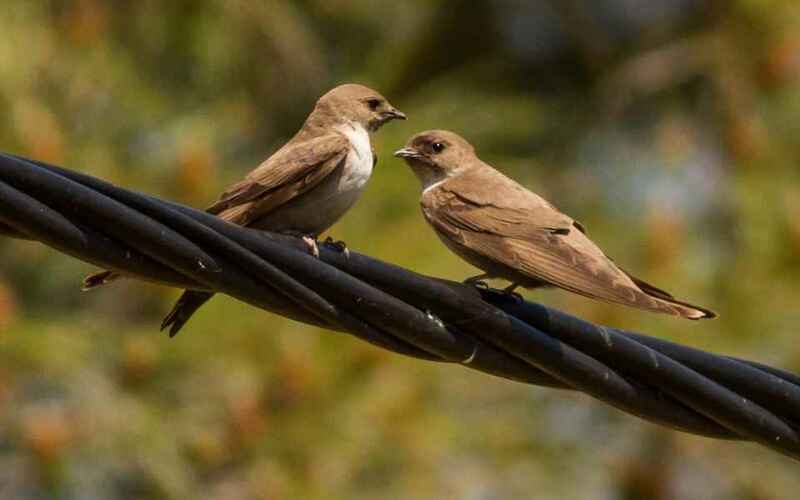 Exceedingly similar to the Sand Martin in colour, it is slightly larger and has a dark vent instead of white, but the real diagnostic is the series of white windows in the tail, (similar to a Barn Swallow), most often observed when the bird is turning in flight.